November 30, 2015, 11:02 a.m. Here is the really bad news for Labour. It has nothing to do with Syria, which is unlikely to influence the outcome of the next general election. Nor is it to do with Europe, providing that we vote to stay in the EU, as now seems likely although far from certain. 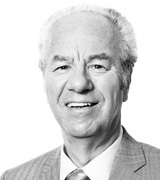 The bad news concerns the subject that always matters hugely at election time, and usually matters most: the economy. Last week George Osborne delivered his Autumn Statement. In as far as its impact on the news agenda lasted beyond the first 24 hours, it was because the Chancellor dug himself out of a hole (by scrapping the planned changes to tax credits) while his shadow, John McDonnell, dug himself into one (by quoting Chairman Mao’s little red book). However, YouGov’s post-Autumn Statement survey suggests that Labour is failing totally to exploit a widespread public mood of dissatisfaction with the Government’s plans. 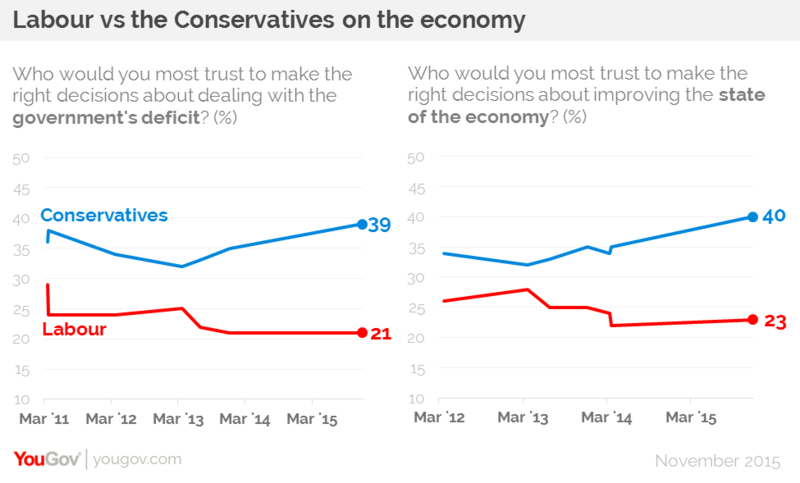 Asked who they trust more to improve the economy, 40% of voters say the Conservatives, and only 23% say Labour. This 17-point lead is the Government’s greatest since Labour lost power more than five years ago. On the deficit, the story is the same. The Conservative lead of 18 points (39% trust the Tories more, compared with 21% for Labour) is, once more, a post-2010 record. Only on who would make the better Chancellor has Labour not slipped back. The 20% who name John McDonnell now is exactly the same as the 20% who named Ed Balls shortly before this year’s election. 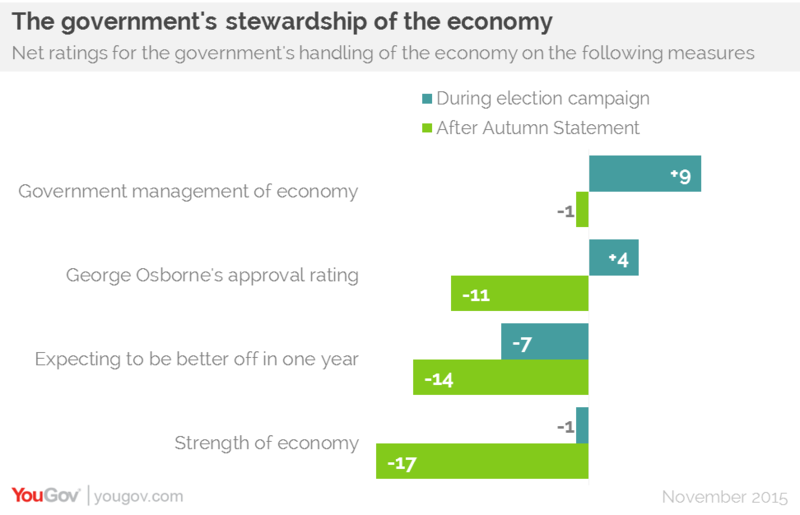 The number preferring Osborne is virtually unchanged (40% in March, 38% now). If anything, that comparison flatters McDonnell, for Balls’s 20% was his lowest figure; for much of the last parliament, Osborne’s lead over his Labour shadow was in single figures. These are of course early days. Corbyn and McDonnell have more than four years to turn these figures round (providing they are still in post in 2020). But they have much to do. In particular, they need to reassure the voters who backed Labour in May. But whereas 83% of those who voted Conservative trust their party most to improve the economy, only 56% of Labour voters trust their party more. In other words, of the nine million people who voted Labour in May, around four million withhold their backing for Corbyn and McDonnell on the economy, saying they trust the Tories more, or trust neither party, or simply ‘don’t know’. Unless the great bulk of these doubters can be won over, Labour will not be able even to get back to nine million votes, let alone the 10-11 million it needs to become the largest party, or the 12 million-plus it needs to win outright.